Here's where to watch every episode of Love Thy Neighbour season 8. Mouseover or tap an episode to see where to stream it. Click or tap the play icon to stream it on the best available service. The Local By-Election Dec 11, 1975 A local by-election causes consternation for Eddie. Eddie Becomes a Father Again Dec 18, 1975 Eddie discovers he's about to be a father again. For Sale Jan 8, 1976 Eddie puts the house up for sale. Power Cut Jan 15, 1976 Eddie fights the bureaucracy of the Electricity Board. 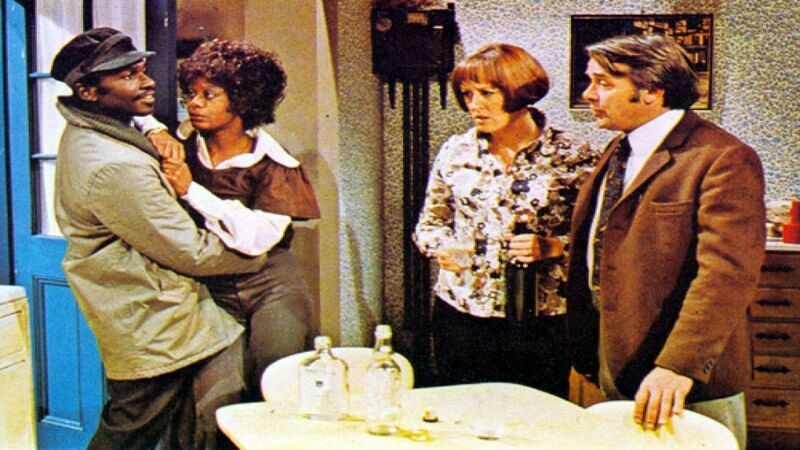 The Lodger Jan 22, 1976 Eddie shocks Joan by bringing home a lodger.